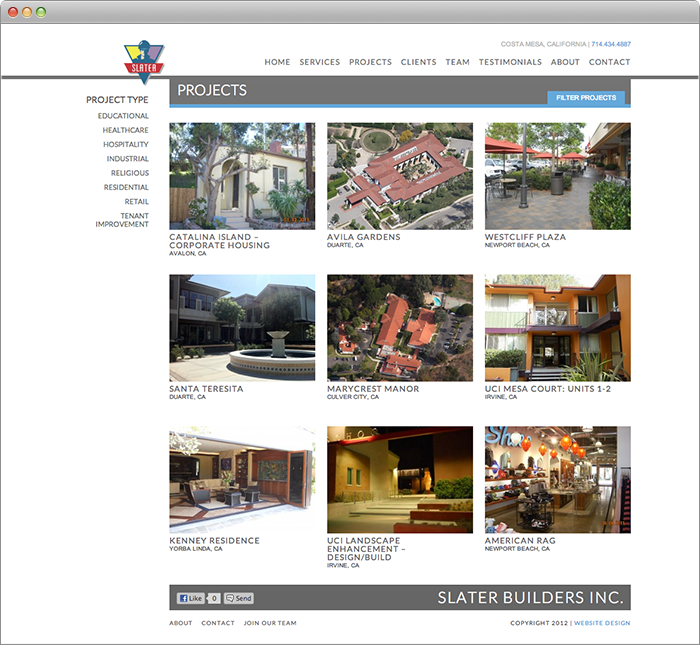 Slater Builder's website is designed to give the client a clear understanding of the company's extensive portfolio of services and experience. Adhering to our minimalist approach, we developed a beautifully simplistic design with endless functionality allowing the users to easily navigate through the content-rich environment. 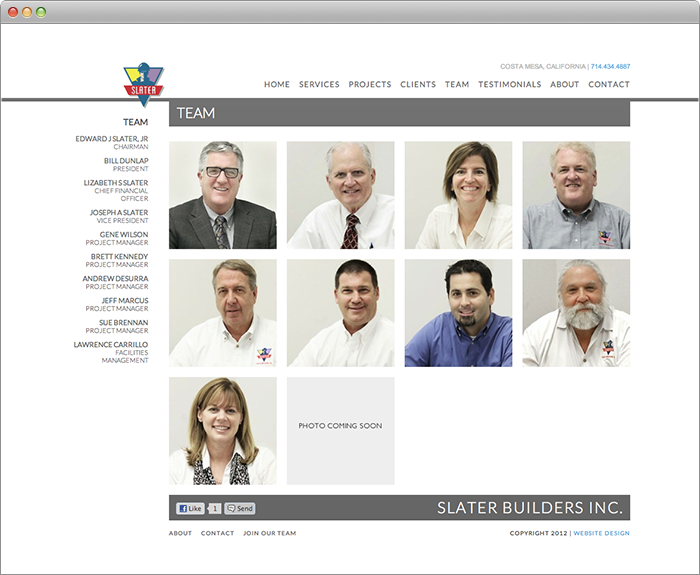 The Team page gives the potential client an opportunity to meet the entire Slater Builder's team before exploring each member's profile. 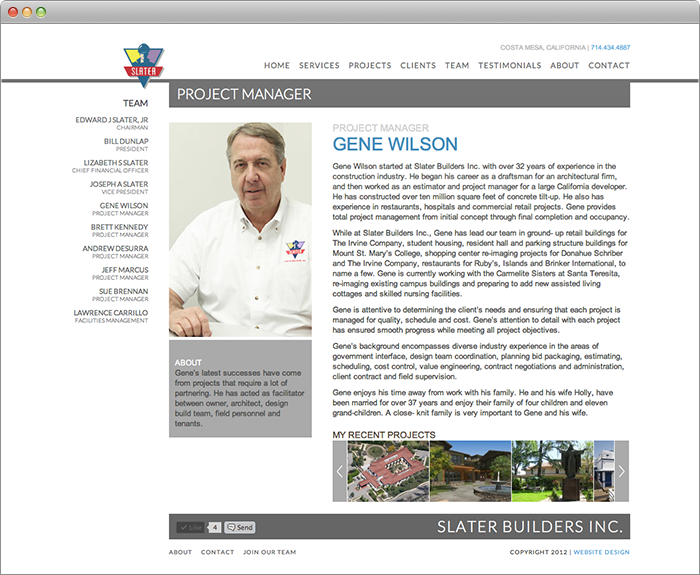 The team members profile page provides the clients with a detailed look at each member's professional experience. 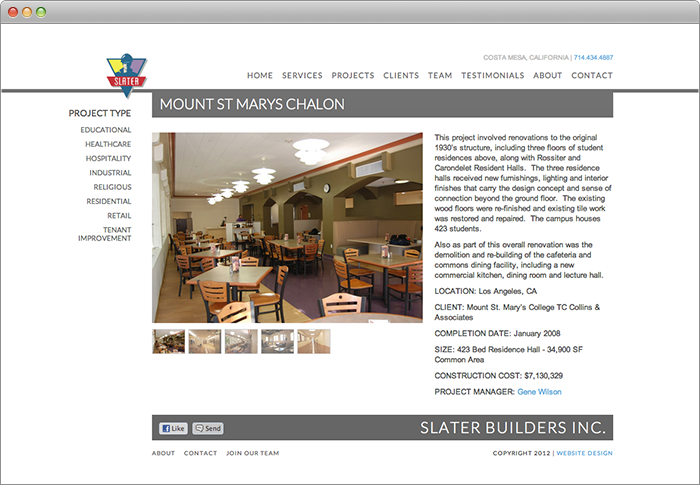 For seamless referencing, each members company portfolio is fully interactive with their completed projects spread throughout the site. 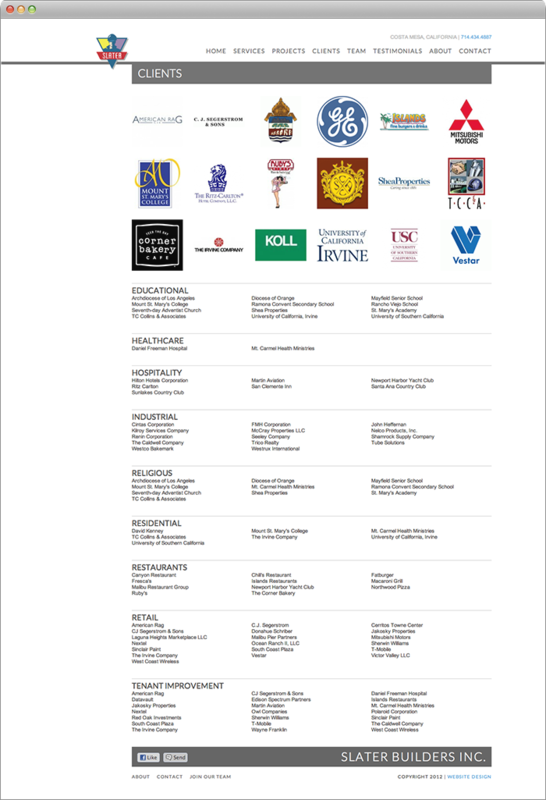 The Client page was a nice touch to give potential clients a glimpse at the company's most notable achievements.